Wordless Wednesday… That’s more like it. 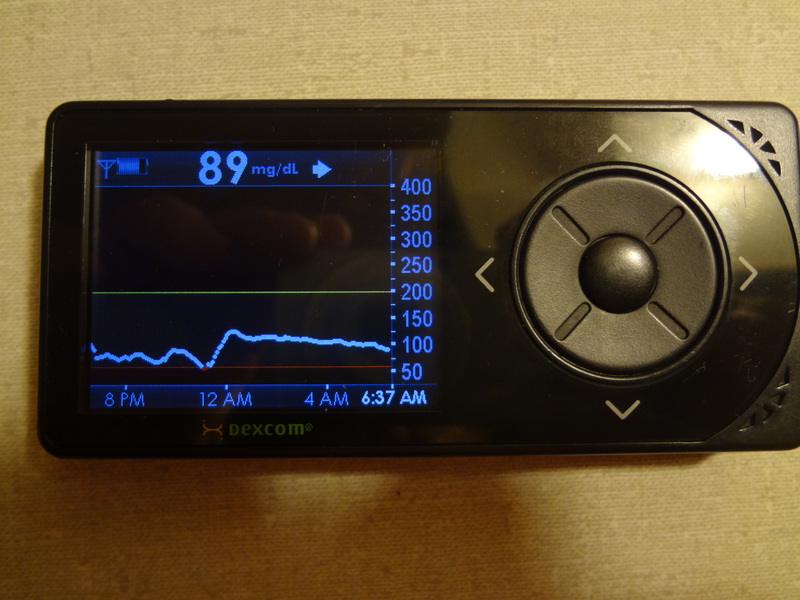 In Monday’s post I complained a lot about how crazy my glucosity was all weekend. But now it seems like things have calmed down a bit. 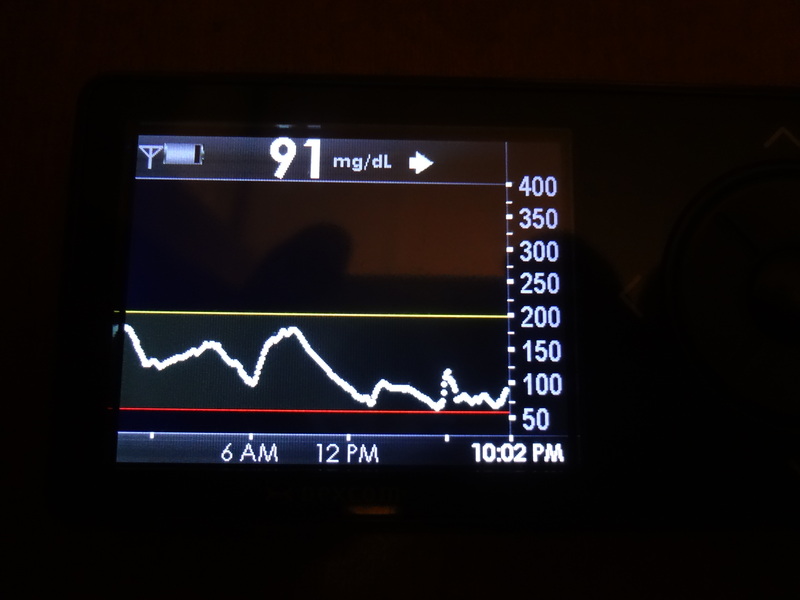 The photo above is from last night, and it reflects how my BG has been behaving for the past two days. Granted, my high and low markers are pretty high and pretty low, but at least I’m doing better over the last 48 hours or so. « On the glucagon trail.